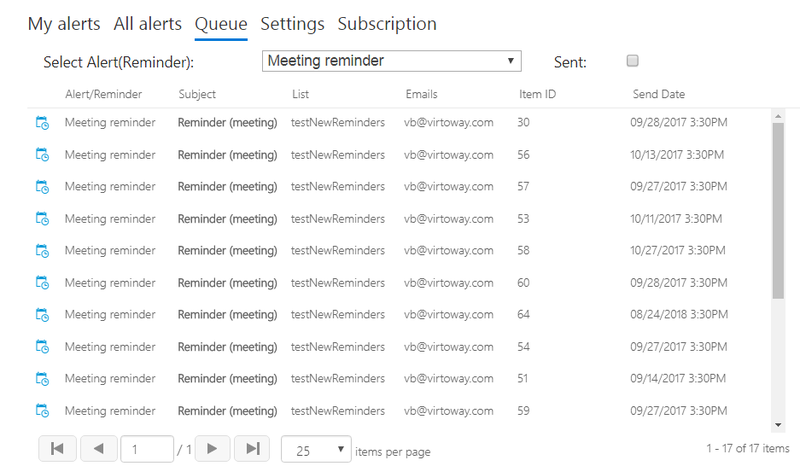 Queue view displays list of emails that are sent / will be sent according to created alerts’ and reminders’ schedules. The checkbox “Sent” allows you to sort all email to sent and waiting for sending. 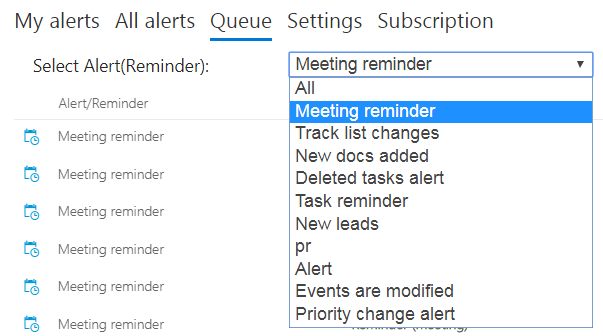 You can display the queue for selected alert or reminder from the dropdown list.